It’s fairly well known that busy recruiters and hiring managers barely glance at a resume for ten seconds before deciding which pile it lands in. However, not many job seekers understand how to get their resume into the hands of a recruiter or hiring manager in the first place. Every day, several hundred thousand resumes are submitted to online job portals—only to result in a standard rejection email, or worse, complete silence from the employer. For job seekers everywhere, this is a frustrating problem. However, it is one that can be solved with an understanding of how to navigate your resume through applicant tracking systems. 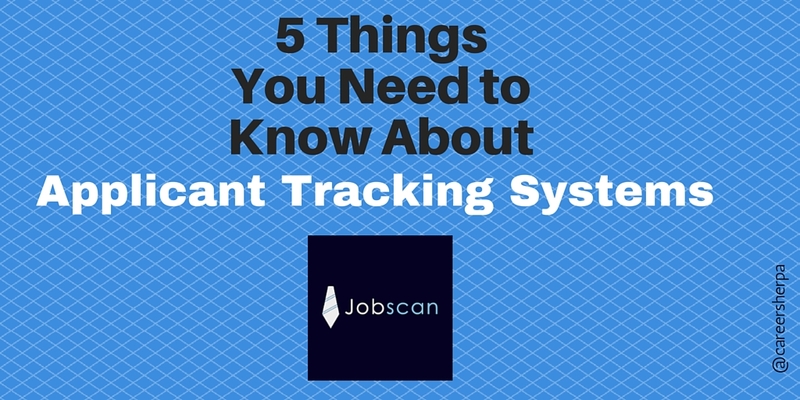 Here are 5 things about applicant tracking systems that you need to understand in order to facilitate a successful job hunt and land your next opportunity. 1. 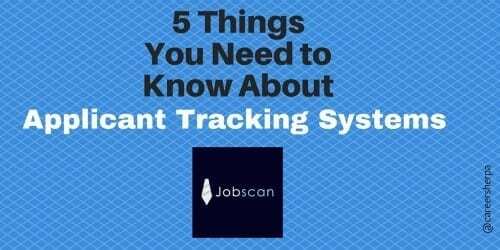 What is an applicant tracking system? An applicant tracking system, or ATS, is a software application used in recruiting. Different companies use different applicant tracking systems to manage their recruiting and hiring cycles; however, all of them operate similarly. 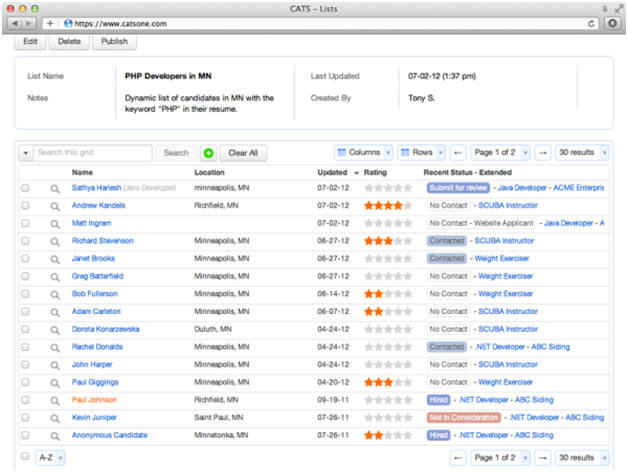 ATS parse the information from resumes submitted online and and store the content their database. When a recruiter or hiring manager has an open role that they are trying to fill, they can use the ATS to run keyword searches and find candidates with the correct skills listed within the body of their resume. Applicant tracking systems essentially do the same work as recruiters, but with higher efficiency, allowing recruiters and hiring managers to focus on the top candidates from their ATS search. 2. Why do employers use applicant tracking systems? The biggest benefit of applicant tracking systems is their efficiency. Unlike humans, who can only realistically process one resume at a time, applicant tracking systems are able to parse hundreds of resumes a minute, categorize them based on pre-set criteria and generate automatic rejection emails. ATS also allow employers to easily monitor the hiring process and communicate directly with candidates from within the software. Because ATS are so efficient, nearly every company, big or small, has adopted one for their hiring process. 3. How do applicant tracking systems work? Applicant tracking systems work by ranking candidates based on the number of keyword matches their resume contains. Recruiters and hiring managers will typically search the keywords that are listed on their job description (because those are the skills they want their ideal candidate to possess). The ATS will then scan all the resumes in its database and rank the candidates by the number of keyword matches their resume contains. The biggest benefit for job seekers is that even if you have been rejected for a role within the company previously, your information will remain in the database for a period of time, allowing you to appear in search results for future roles within that company. This is a win-win for both the employer, who wants to find qualified candidates, and you, because you’re essentially being considered for every open role. The searching function of Applicant tracking systems operate similarly to search engines. The more a website is optimized for search engines, the more frequently and higher in the rankings it appears when a user submits a related query. Similarly, the better a resume is tailored to a job description, the higher it will appear in the ATS rankings. While this seems simple, applicant tracking systems are incredibly precise and unable to understand minor differences in resume writing that a human would. It’s worth learning exactly how resume keywords work so that your resume has the highest chance of successfully rising to the top of the ATS results. As a general rule of thumb, always tailor your resume to the exact phrasing and wording of the job description for which you’re applying. If the job description says that an “M.B.A” is required, you’re far more likely to rank in the ATS if you have M.B.A listed on your resume, rather than Masters in Business Administration. Tools like Jobscan can help also you compare your resume against job descriptions and analyze which keywords you need to include. 5. 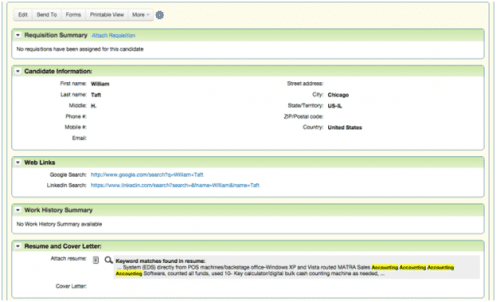 Applicant tracking systems: friend or foe? While applicant tracking systems may seem daunting, they are a helpful tool for companies—and thus, likely to be around for a long time. Applicant tracking systems actually give you a better shot at being considered for a position than if every applicant’s resume just ended up in a pile. Due to the efficiency of ATS, they are able to scan each and every resume in their database when a search is run. A recruiter would be unlikely to make it to the bottom of every pile of resumes, disadvantaging the resumes at the bottom of the pile. With a little keyword tailoring and extra effort, you can help navigate your resume through any ATS and into the hands of a recruiter or hiring manager. Once you’ve perfected your resume, don’t forget that you also need ATS friendly cover letters to be a strong candidate. With the high volume of applicants that most positions receive, optimizing your cover letter and resume gives you the highest chance of successfully navigating the ATS and getting your resume in front of a human. 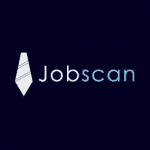 Many thanks to Satinder Haer of Jobscan for this insightful guest post. Jobscan automates the process of evaluating key words in your resume. It helps increase your resume’s relevance by optimizing skills and keywords based on the job description.